The CC-201T is designed to clean coils in mini-split systems, packaged terminal air conditioners and interior air handlers. 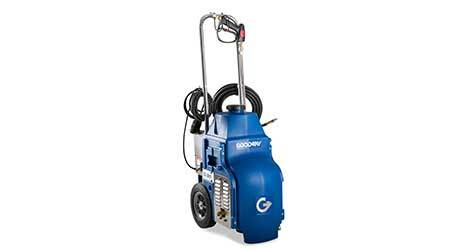 The cleaning system includes a portable design and custom pump system that uses a pressurized water system to safely remove dust, dirt and debris from a variety of coils. It can be connected to a water source for continuous cleaning, or there is a convenient built-in storage tank that holds 8 gallons of water.